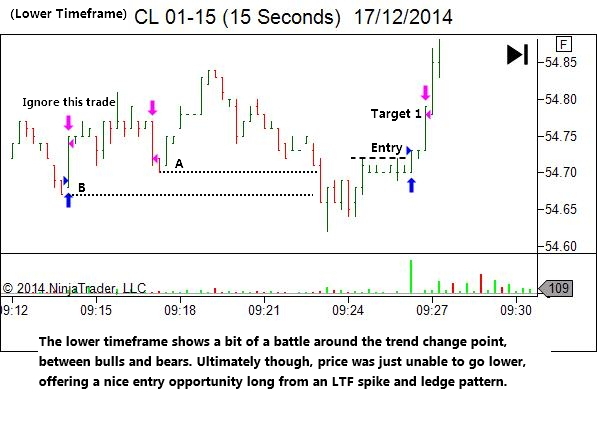 We've previously discussed the idea of fading breaks which occur against the market bias. 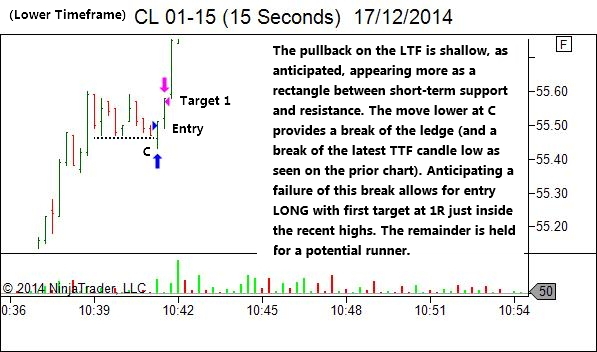 If we can anticipate that trap then we can position ourselves for a successful trade by entering at or before the point of their failure. 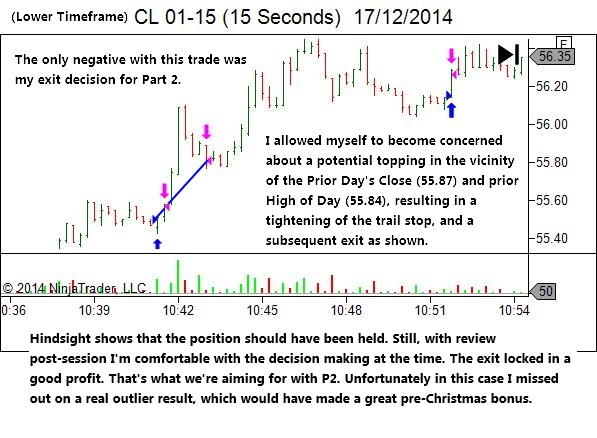 Let's look at two slightly different examples from Wednesday's Crude Oil session (to take advantage of the crazy volatility that CL has offered in the last few days!). 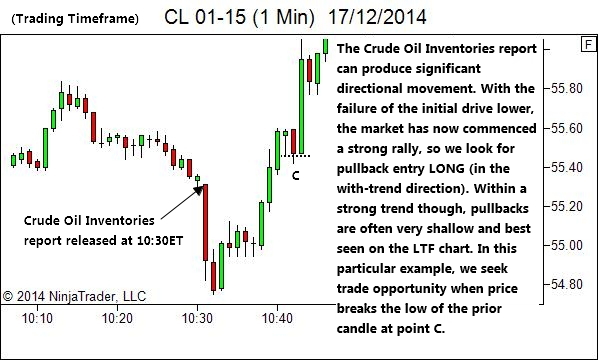 Don't let the low timeframes freak you out. 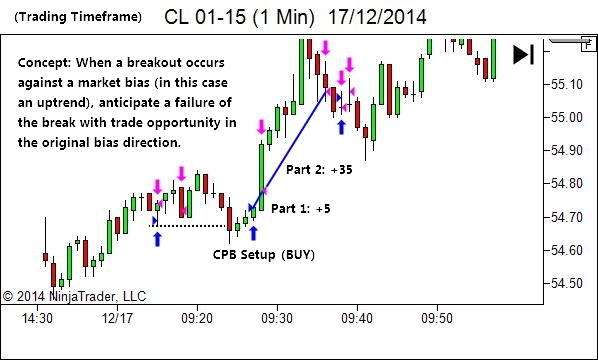 The concept applies no matter what timeframe or market you trade – failed breaks against bias can provide you with great trade opportunity. 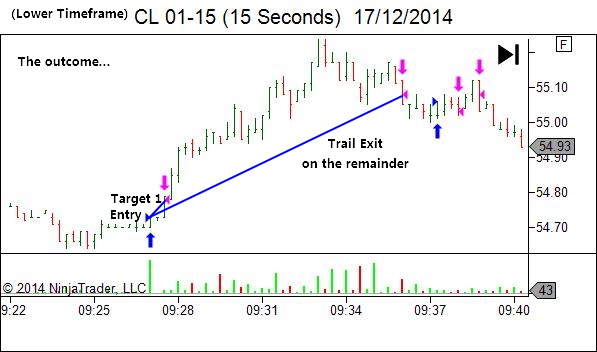 (1) Trading timeframe CPB trade. 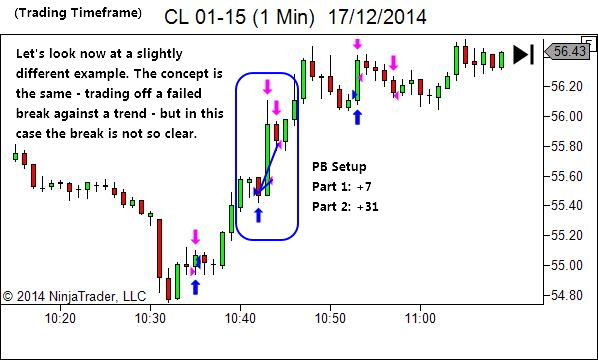 (2) Trading Timeframe PB trade. Thanks for this article… this the thing I am still no able to master. I am still struggling in this area. 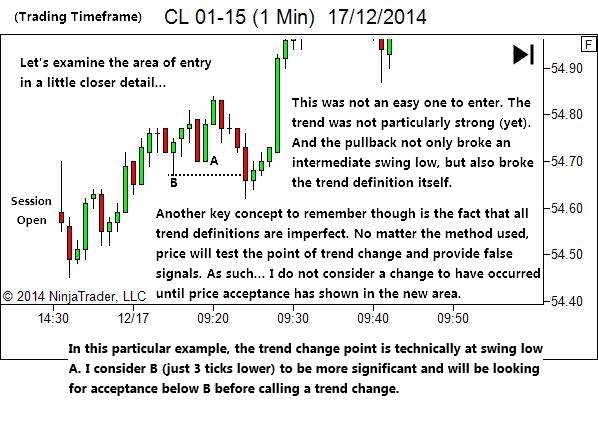 One more thing always come in my MIND as a Curiosity that how the place you have setup where you do your trading? I mean how many screens? How the place look like? Any rules you have stick there on the walls? and what each screen is for (mean what it does have on it) and how you utilize it?